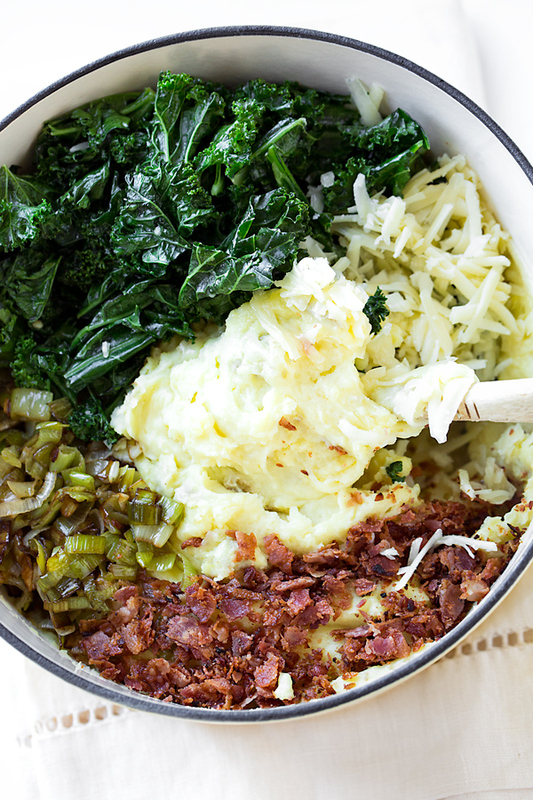 This delicious colcannon is my own personal and slightly modernized take on the classic Irish potato side dish, loaded with garlic-sauteed kale, crisp bacon, caramelized leeks and sharp cheddar—so savory and so comforting! If you are Irish, or of Irish decent, you’ve most likely heard of colcannon and may have even enjoyed it at some point in your life, if not often. And while this interesting and quirky-sounding word literally translates to mean “white-headed cabbage”, this Irish dish is actually a mashed potato recipe that is filled with either sauteed cabbage or kale, plus a few other delicious morsels making it a creamy and savory side that is a pleasure to enjoy. 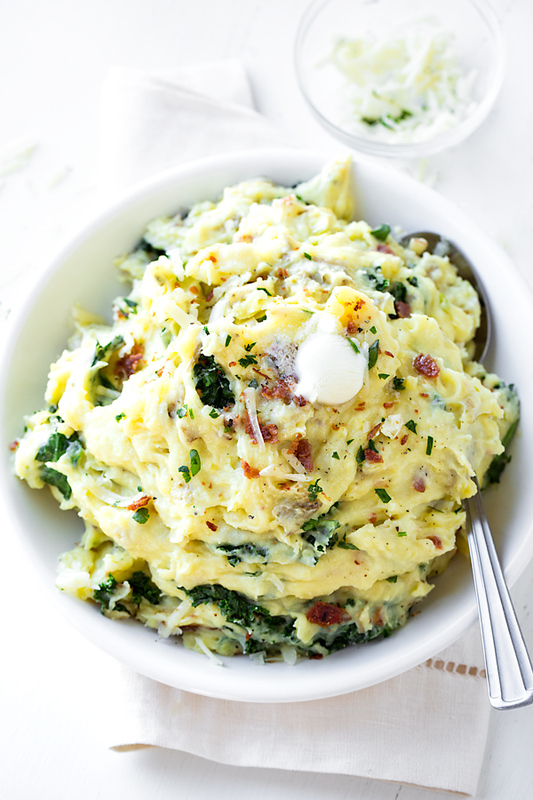 The idea of colcannon is incredibly appealing to me, because a) I love fresh, hot, creamy mashed potatoes; and b) I love to blend in other savory ingredients to make for a more “loaded” style of mashed potato where there is a tasty surprise in each and every bite. 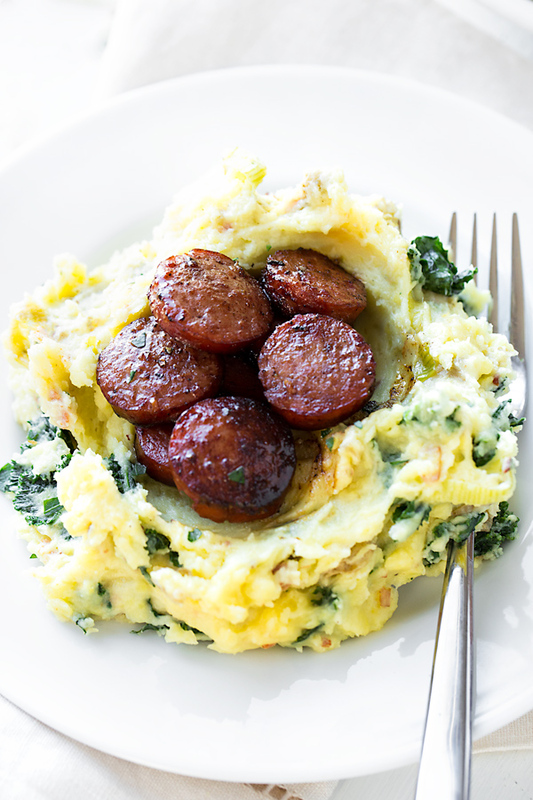 And colcannon’s earthy flavors pair really well with just about any protein—chicken, beef, braised lamb shank, or smoked sausage to name a few—making this hearty, filling, and scrumptious potato dish one that will certainly leave you craving a second helping, if not a third. Colcannon doesn’t require any fancy ingredients, just a handful of well-paired ones that add in lots of texture and delicious flavor. For starters, you’ll need potatoes. And while you can certainly use classic russets (or baking potatoes), which are a bit more traditional, I suggest using yellow potatoes or even red skin potatoes, because they are waxy rather than starchy. These offer a more naturally creamy, fluffy consistency that doesn’t require quite as much butter and milk to be added in. 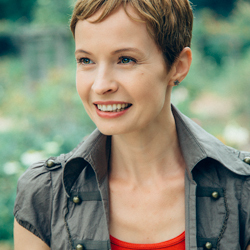 You’ll also need to decide on whether you’d prefer to use cabbage or kale. As for me, I prefer kale because of the gorgeous green color, the slightly heartier texture, and the extra nutrients in it. As for the other tasty tidbits within the colcannon, this is where I like to take some liberties and offer up my own twist. Anything with extra flavor is always welcome, and I like to crisp up a small amount of bacon to add in, along with some caramelized leeks, and a little sprinkle of Irish-style cheddar. So if a new, creamy and comforting potato side dish is what you’ve been hoping to add to your dinner rotation to jazz things up a little bit, this slightly modernized colcannon recipe is one you’ll want to try—it’ll make your eyes smile, whether you’re Irish or not! Waxy potatoes for a creamier texture: Choose either yellow potatoes or red skin potatoes for this tasty recipe, as they are waxy potatoes and are creamier and fluffier in texture rather than drier and starchier. Skin on or peeled, the choice is yours: Feel free to leave the skin on your potatoes for a little added texture and color, or peel them before boiling if you prefer. Add enough salt to the cooking water: Be sure to salt the water you boil your potatoes in liberally so that it tastes a bit like sea water. You definitely want well-seasoned mashed potatoes! Kale or cabbage, you decide: I personally love to use kale in this colcannon recipe, because I love the color and texture; but cabbage is another wonderful and authentic substitution. 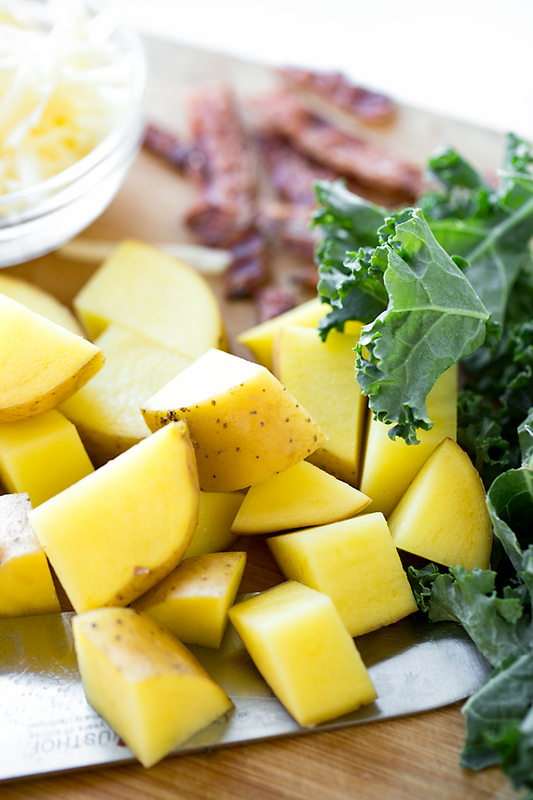 Prep your add-ins ahead: While it is easy enough to cook your bacon, kale, leeks and shred your cheese while the potatoes are cooking, you can always prep those ingredients ahead of time and simply fold them in when you mash your potatoes. 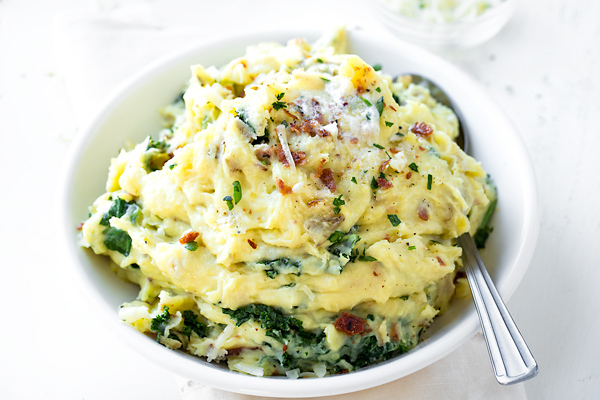 Cozy and creamy, this delicious Irish colcannon prepared with yellow potatoes, garlic-sauteed kale, bacon, caramelized leeks, and cheddar is a delectable alternative to traditional mashed potatoes with loads more flavor! –Add the cubed potatoes to a pot and fill with cold water to cover by about an inch, and add in enough salt so that the water is flavorful and tastes like sea water; place over medium-high heat, bring to the boil, then reduce the heat slightly so that the water is bubbling vigorously but not too aggressively; cook the potatoes for about 25-30 minutes (depends on the type of potato), or until tender when pierced with a knife; drain completely. –While the potatoes are cooking, place a large skillet over medium-high heat, and once hot, add in the bacon and cook until crisp; remove from pan and chop, and set aside for a moment. –To the same pan add in the sliced leeks (and a tablespoon of olive oil, if necessary), and saute until the leeks become golden-brown; remove from pan and set aside for a moment. –To the same pan add the other tablespoon of oil (if needed), and add in the shredded kale plus a sprinkle or two of salt; cook the kale for a minute or so, then add in the garlic, stir to combine, and cook just a little longer until aromatic and the kale is tender yet still a vibrant green color; remove and set aside. 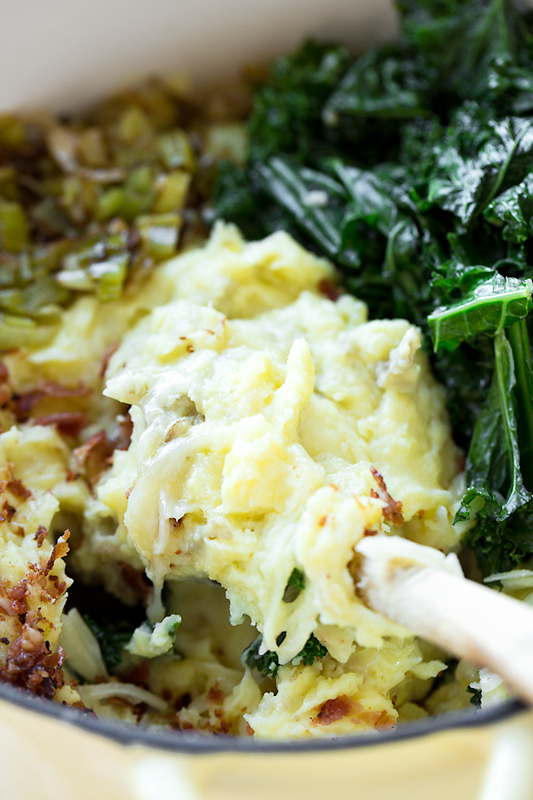 –To prepare the colcannon, mash your cooked and drained potatoes very well along with the butter and the milk (or half & half) until smooth and creamy; add in the kale, the leeks, the bacon, and the cheese, and fold those into the mashed potatoes to incorporate; finish with some black pepper and the chopped parsley, and serve immediately while hot. 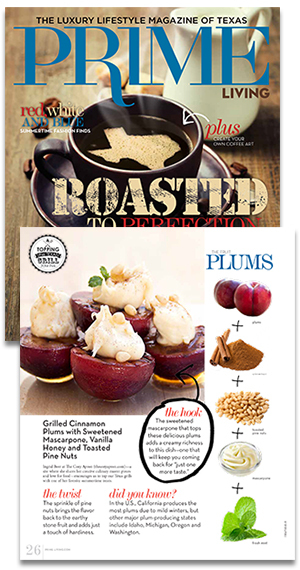 And if you’re interested in some other unique “mash” recipes, check out this Roasted Butternut Squash Mash, these Roasted Garlic Mashed Potatoes, or this recipe for the Best Basic Mashed Potatoes! Hello, Ingrid! We are making this for tonight’s traditional Irish dinner for two. Can’t wait to try it!!! It was delicious!!! And the flavors were more intense tonight with the leftovers! Love the kale, too!! !